So apparently Natsume ended this week XD. It shouldn’t have been a surprise, but I had forgotten that last year’s “Go” season was also 11 episodes. 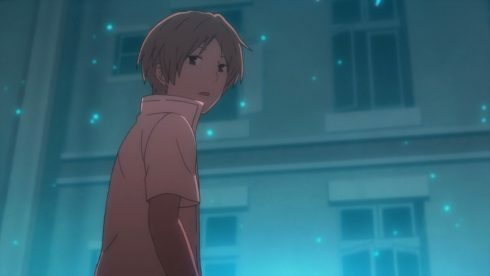 So this season ends on the episode focusing on Natsume and Natori’s friendship. It wasn’t a bad idea and also served to open up a fresh set of mysteries to ponder over. 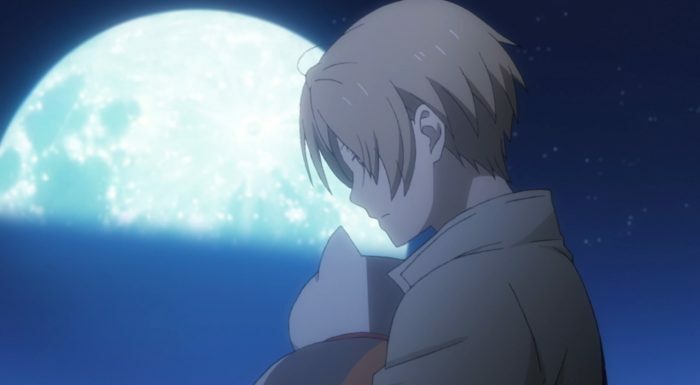 Even the focus on Natsume and Natori was only somewhat resolved. I’m still not sure that Natori won’t ever make a play to do something about the Book of Friends. His focus is still worrying about Natsume and of course he hates that Natsume is carrying around something so outwardly dangerous. 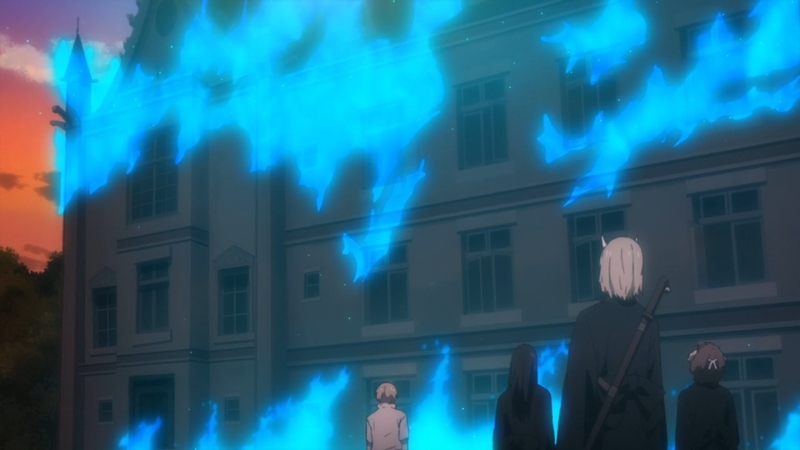 Naturally he wishes Natsume would simply get rid of it and let it burn. But I don’t think he fully grasps yet that for Natsume this book has value. For Natsume the book has been a gateway to friendships and happiness. 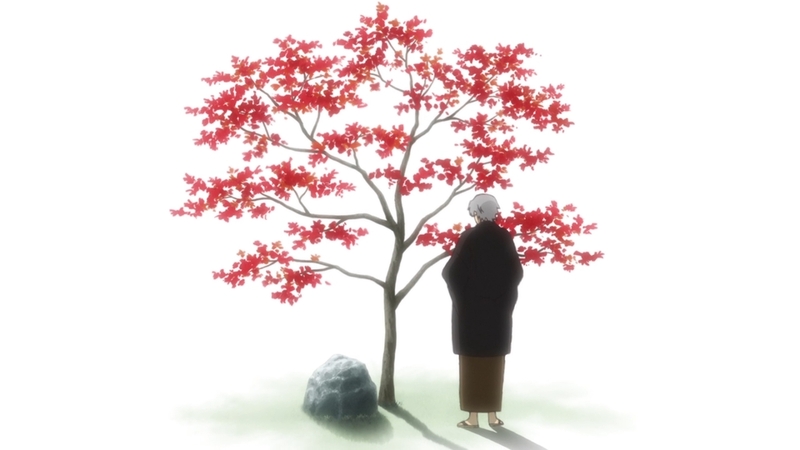 The other big mystery is about the man that could be Natsume’s grandfather. This is someone who the story has only vaguely hinted at. Of course Natsume has a grandfather. Reiko didn’t reproduce asexually. But all the flashbacks have stuck very closely to Reiko in her youth and very little have hinted at someone catching her eye. What this does do is open up some strong speculation. Was Natsume’s grandfather an exorcist? Why was he visiting that mansion anyways? It seems like Beniko’s grandfather was someone people turned to as a last resort. I wonder…did Natsume’s grandfather come there for the help of Hakozaki’s expertise? And if so…what did he need help with? There are so many questions that just don’t have answers. Natsume is good like that…it gives you little answers and just piles on the questions! In the end I do feel for Hakozaki though. It is true he loved spending time with his youkai friends and must have had one heck of a wild life. But, of course he still missed his family. Just because you make new friends or create a family for yourself doesn’t mean you stop caring about those who are precious to you. It is such a shame that Beniko will never be able to really make amends to her grandfather for turning her back on him. It just seems like he was such a good guy that it is a shame for him to have been isolated. At least his youkai companions were loyal and true. In the end they made sure that the truly dangerous secrets would burn and be lost. A very smart move when faced with the Matoba clan. Some people shouldn’t have access to dangerous knowledge. It makes total sense how Hakozaki didn’t want anyone gaining access to his study. Just watching the various exorcists tear apart the house made it clear how many of them would misuse that knowledge. Sure Beniko is planning on selling the home, but talk about utter disrespect for the dead. This was someone’s home for a long time. How about not ripping everything apart for the sake of your own greed? I suppose it’s nothing unusual though. But in the end I can’t blame the familiars for being pissed. They knew how lonely Hakozaki was or at least how much he missed connections with fellow humans and family. 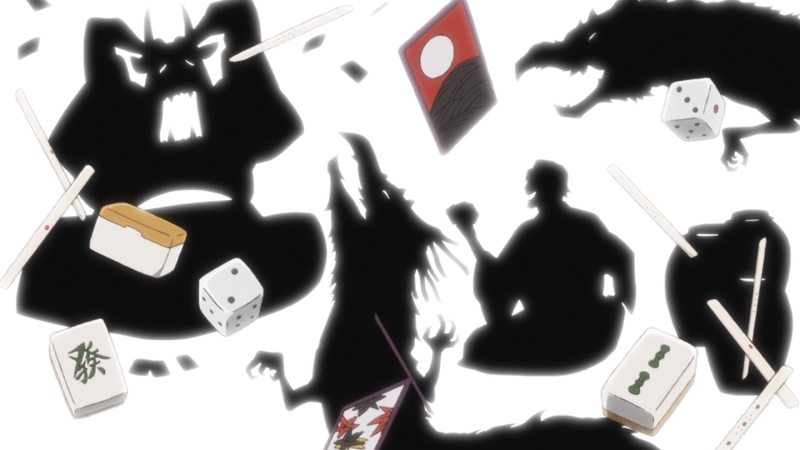 I’m sure he did have a lot of fun with the youkai, but it just wasn’t complete without his family. Natsume really is someone with a great amount of empathy for the loneliness of others. It would have been nice if he was able to fully express to Natori how important the Book of Friends has been for his own growth. The worst time and heaviest burden for him was before he moved out there. All the encounters and bonds have really been born from that. This made for a pretty comfortable last episode. There wasn’t much conflict. Just thanks to Natsume’s intuition they managed to find the front entrance and speak to that familiar first. He really was able to empathize with Hakozaki and that paid off. In the end they gained a few useful spells and it was a worthwhile visit. 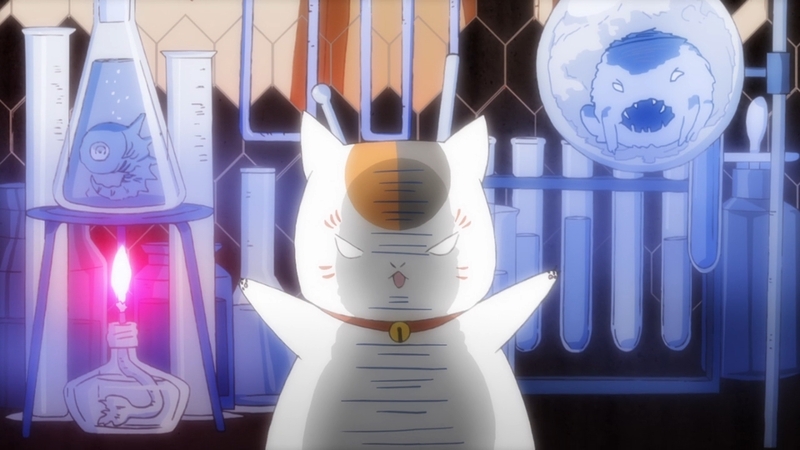 I’m guessing Nyanko Sensei knows something about Natsume’s grandfather and decided to distract him from that. A nice last episode and fingers crossed for future seasons. It’s hard to believe we’re already at the end of another season of Natsume. Of course this wasn’t the longest season (only 11 episodes) but time just manages to sneak up on you every time. In a sense this was a pretty optimistic season for Natsume. A lot of the encounters/experiences he had in this season turned out rather positive. 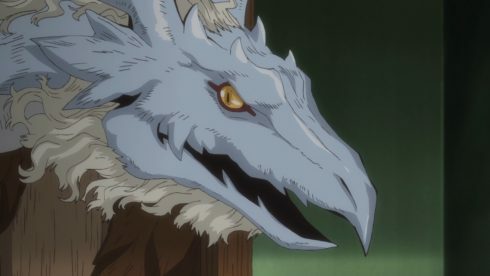 Various examples could be seen from how his friendship with Shibata grew stronger, he managed to help those familiars be released from their contract, the human/youkai couple of a few episodes ago turned out pretty well, etc. 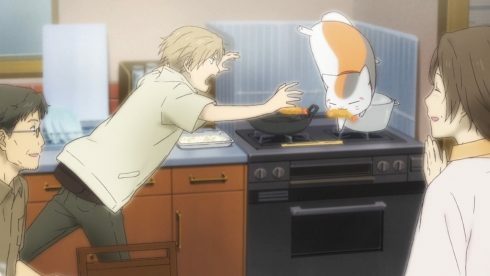 Natsume is a series where you sometimes end up with a lot of bittersweet experiences. But this time it was much more sweet than bitter. Honestly the most bittersweet of the episodes was about Reiko. Even that ended on a positive note with Natsume being able to enjoy the spectacle and witness the marriage that Reiko’s actions made possible. The bittersweet aspect was that Reiko herself wasn’t able to take that step of staying close to those she had built bonds with. The one episode that looked pretty dark with the masks turned out to be really simple and nonthreatening. 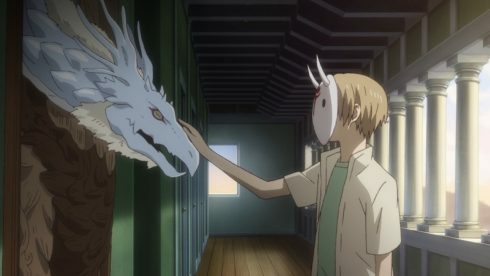 The most trouble Natsume got into really came from that one youkai in the first episode of this season trying to repay him for his kindness XD. Turning him back into a kid was a kindness in the youkai’s mind, but not very good for Natsume himself. This series is so consistent that honestly it is hard to reflect back on this season without it blending in with some of the others XD. This was a very standard season for Natsume and yet I’m saying that with the highest compliments. The visuals, music, character stories are all very good. 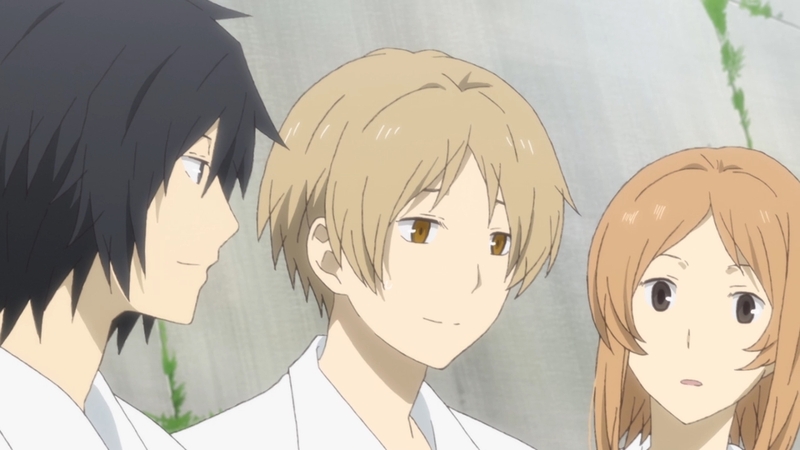 I enjoyed looking back at how Natsume became friends with Nishimura and Kitamoto. It was fun seeing a youkai/human romance actually work out alright even though the long term future may have some sadness in it. So many of these episodes were really good and I don’t think there was a single episode I hated having to watch. This season simply went on its way in telling these individual stories though some of them tying together. 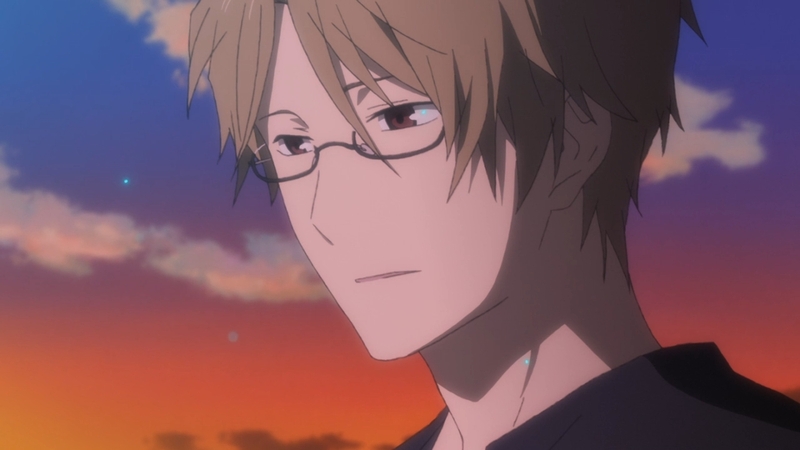 The season did spend the most time out of any stories on Natori and Natsume. That is a relationship I wanted to see developed further and glad we spent time on it. Through that story we got some hints about Natsume’s grandfather who is a figure we really know little about. And we still don’t. All we know (sort of) is that he interacted with Hakozaki at some point. Whether he was an exorcist is uncertain. Whether he was a normal person who wanted to share Reiko’s world and ability to see youkai somehow is possible. I do like how Natori cares so much about Natsume’s wellbeing and that creates potential conflict. It is the same reason Natsume hides the truth so often from others. Caring about others doesn’t necessarily mean agreeing with them. I do think the most emotional episodes for Natsume are those heavily bittersweet moments. However, I think as the series goes on it is better to have more emotional but positive stories. Natsume is growing as a person. Honestly, I’d like to see that growth accompanied with optimistic experiences. And really even for a lot of positive experiences they weren’t sunshine and rainbows. The situation with the masks turned out well, but he really had to battle some fears in that one. It was a reminder that despite having grown, the world can still surprise. Natsume walks a difficult line since it’s hard not to react to the strange. When it involves his friends…he gets pretty emotional. As a whole I really enjoyed the season. I couldn’t really rank it between the various Natsume seasons, but it was good. I almost feel like this was the biggest step forward in a long time for Natsume learning about his heritage. Hopefully a future season can peel back the layers of mystery a bit more. 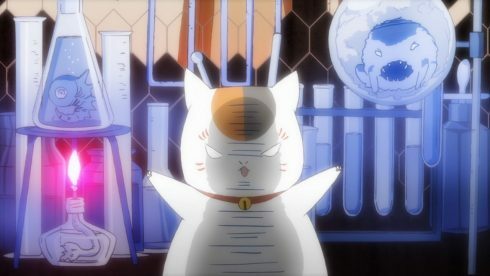 The one thing that was lacking in this season was Natsume returning names. I guess we can presume he was doing that in between the episodes. It was a good ride and certainly I’ll miss getting to watch Natsume weekly. At least we got yet another good season and honestly I wasn’t sure we were going to get these past two seasons. I’ll consider that a win.